This 45 page manual with help you get started with roadbook navigation. 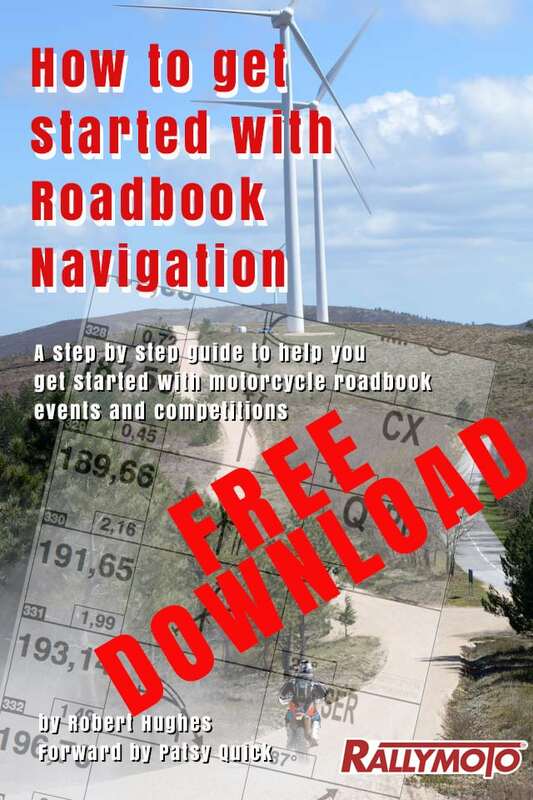 It runs through things from scratch and answers the all questions to get you out navigating your first roadbook. What do I need to know to get going? What do I do if I am off course and lost? What equipment can get me started? The manual comes complete with a roadbook lexicon – a full listing of symbols and a sample roadbook to download on a special resource page. As a bonus we have included direct access to Robert Hughes by email – robert@rallymoto.co.uk to answer any queries or to answer questions.